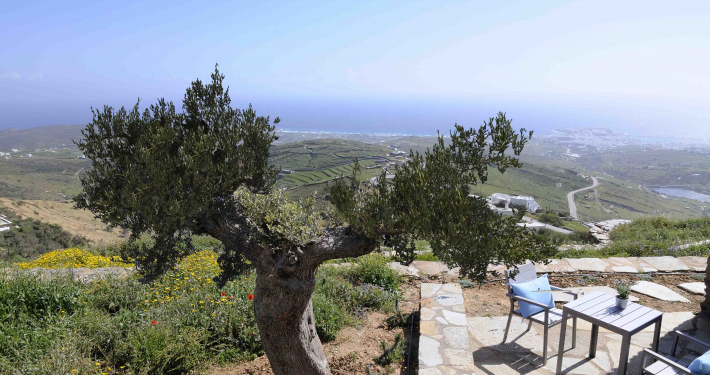 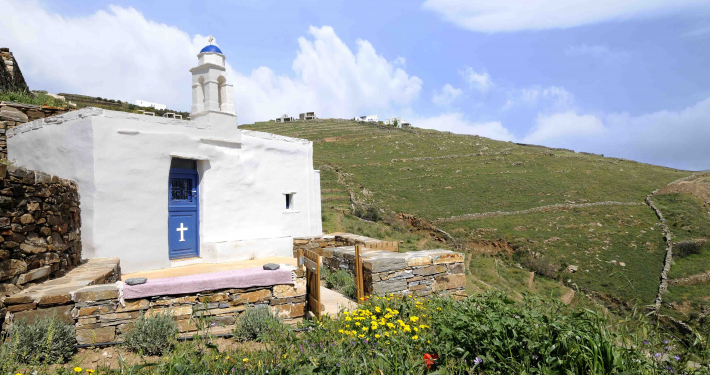 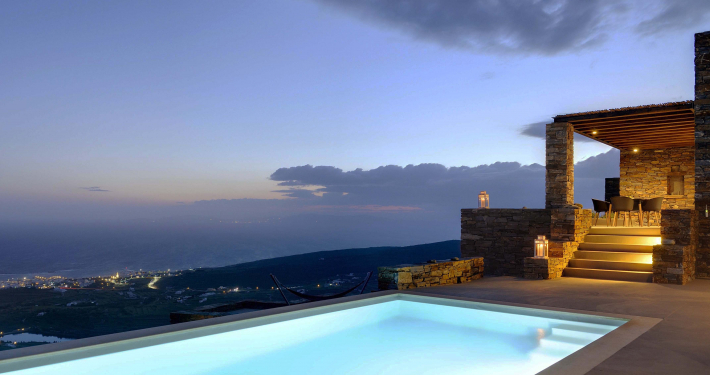 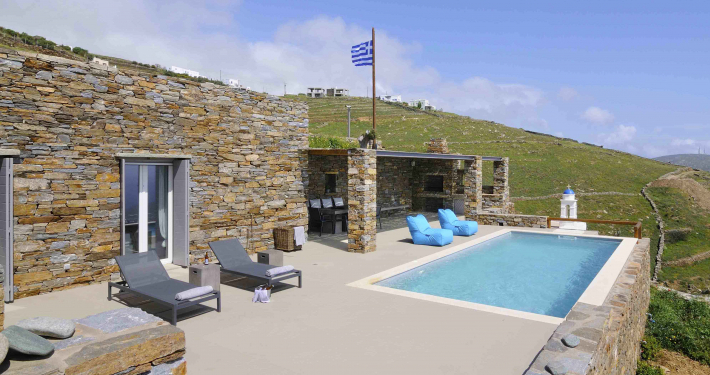 There it stands, atop a hill of the low key, yet sophisticated, island of Tinos. 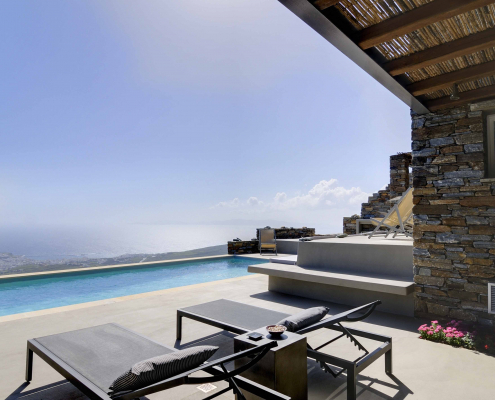 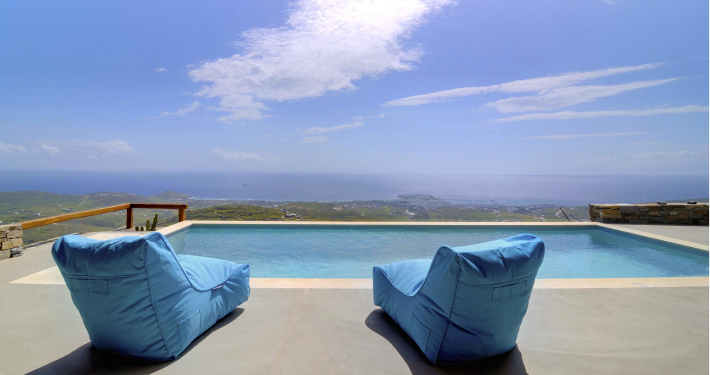 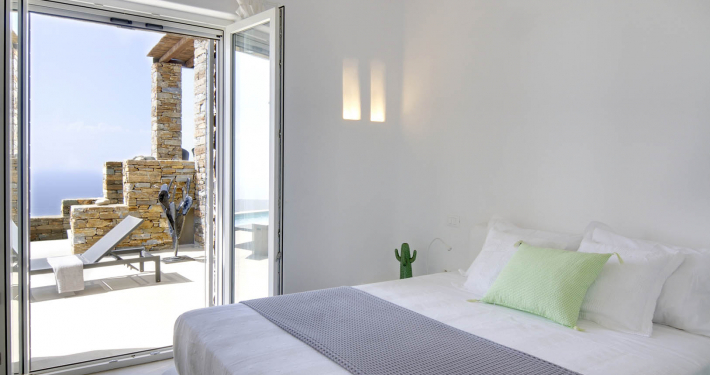 Villa Thyme Flies I streches in layers and in absolute geometry, landscaped in respect to the archetypal Cycladic natural surroundings of bare hills and unlimited views to the greatness of the Aegean Sea. 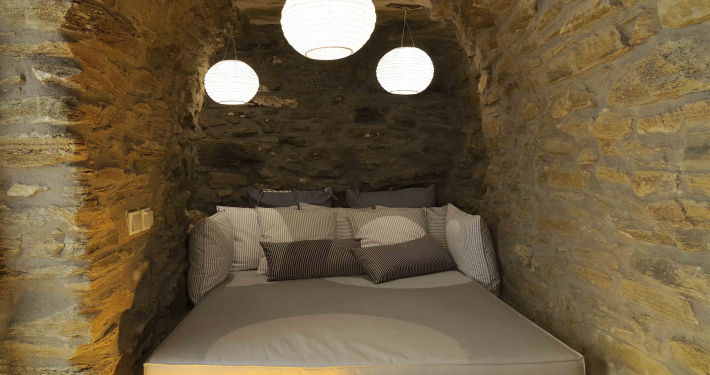 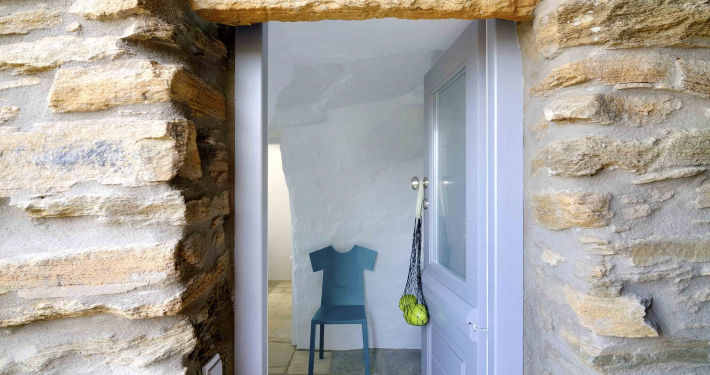 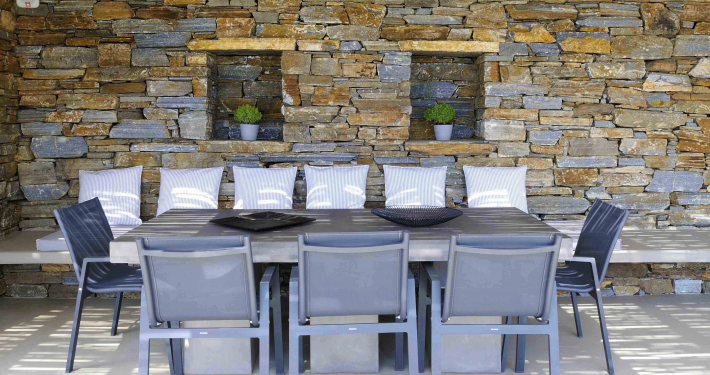 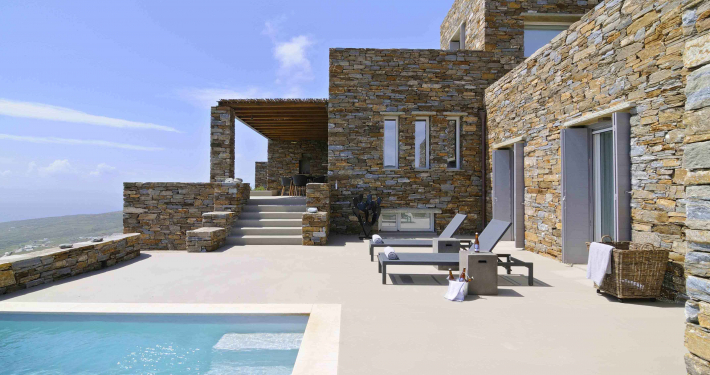 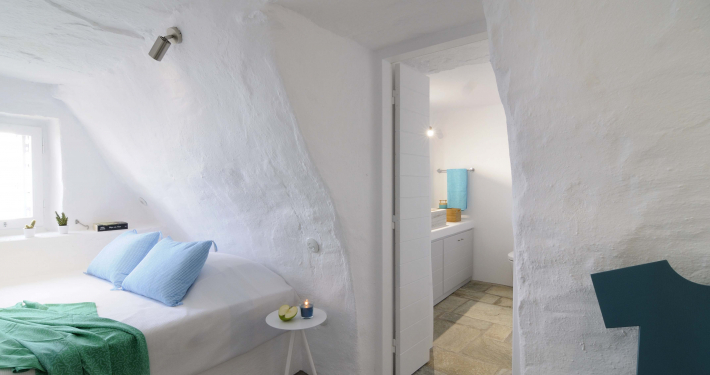 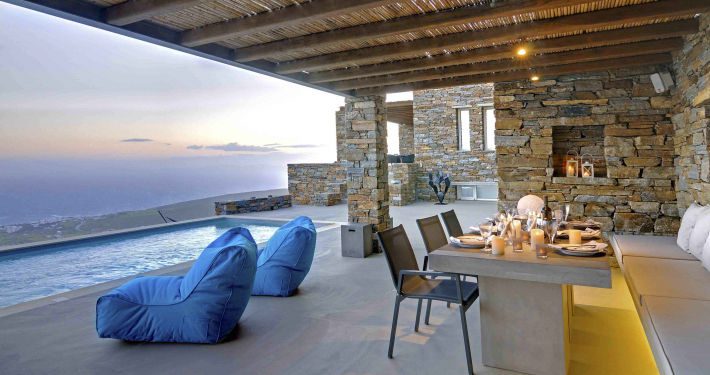 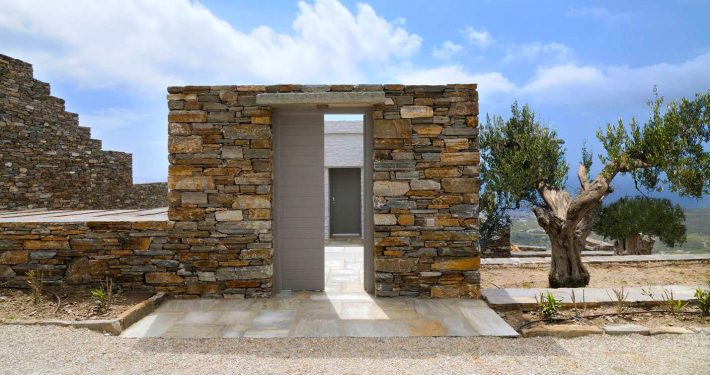 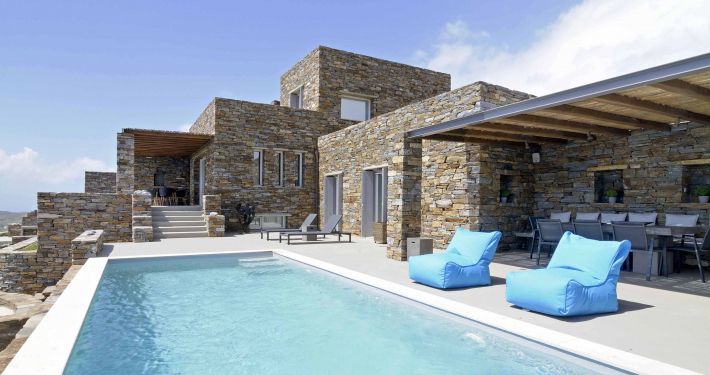 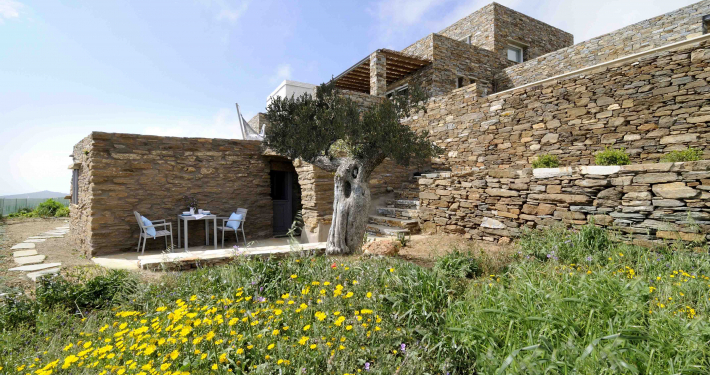 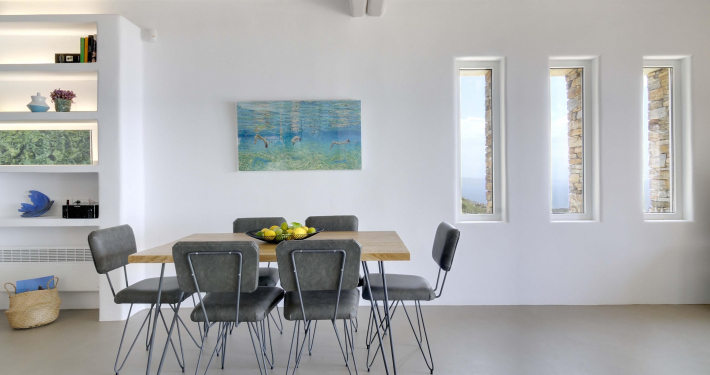 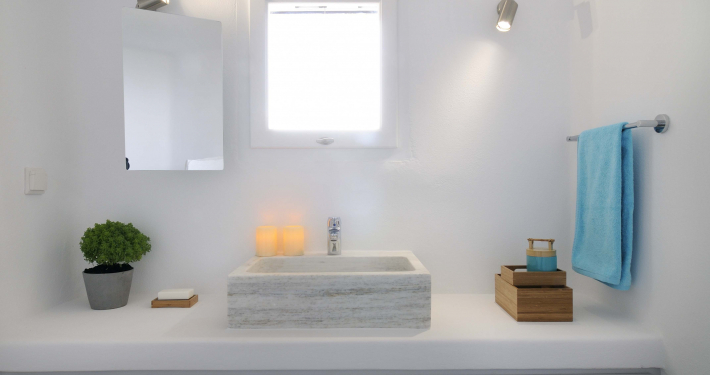 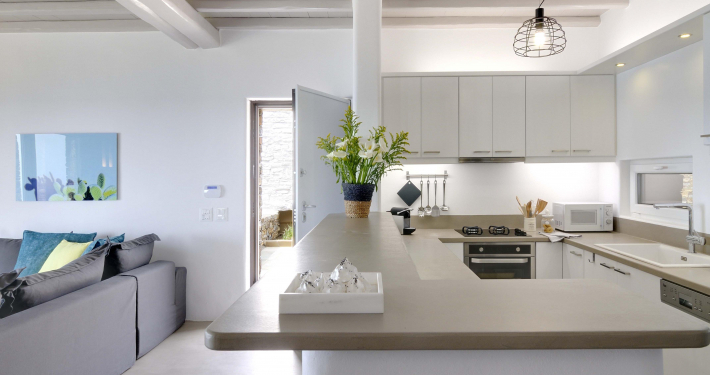 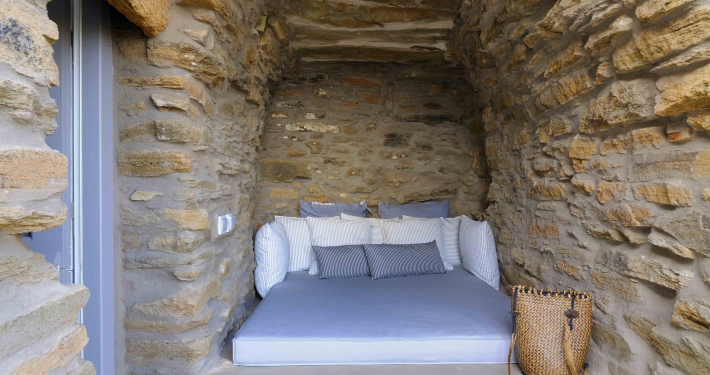 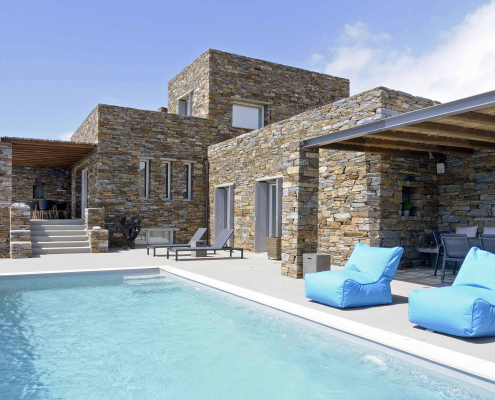 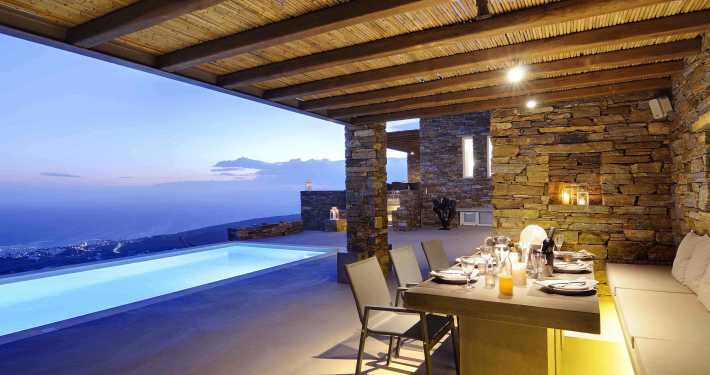 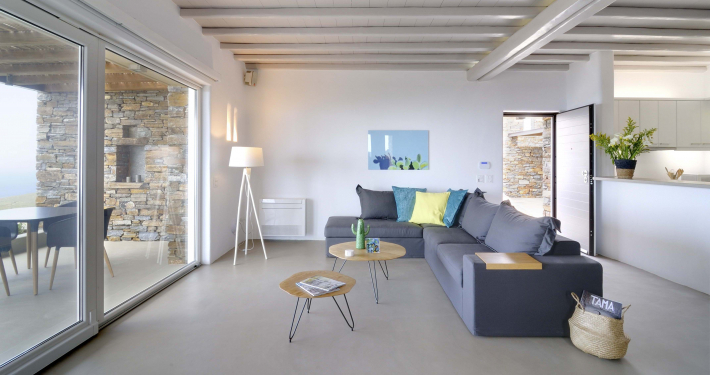 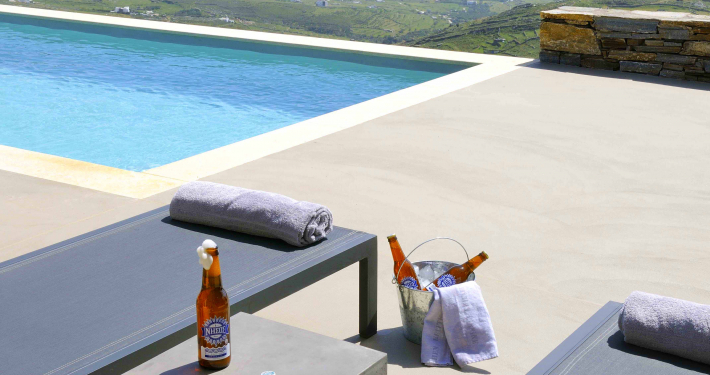 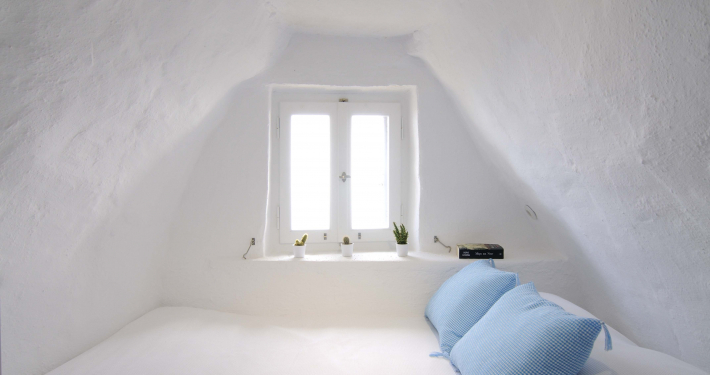 Completely stone-built, with local stone by traditional crafters, designed in contemporary minimal style, the house is in perfect harmony with the unique character of Tinos: an island loved by artists thanks to its wild, unspoilt beauty and rich tradition. 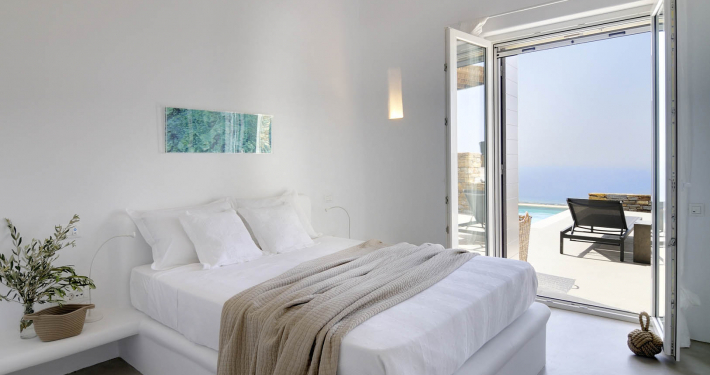 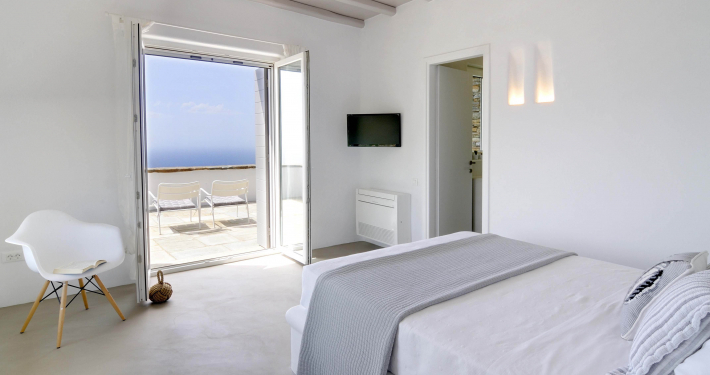 The minimal style of the indoor furniture and decoration in white and grey tones pays homage to traditional Cycladic simplicity with a contemporary twist and highlights even more the amazing views. 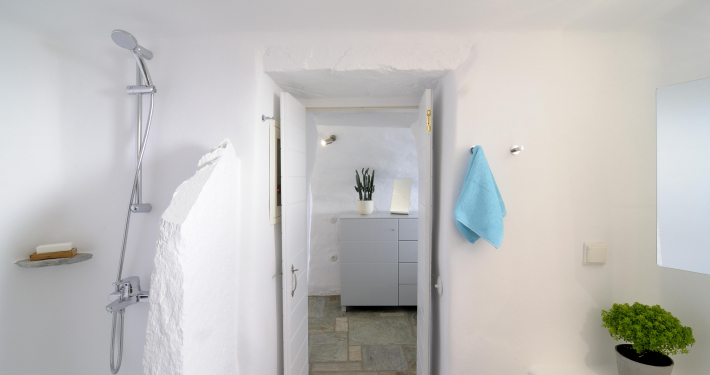 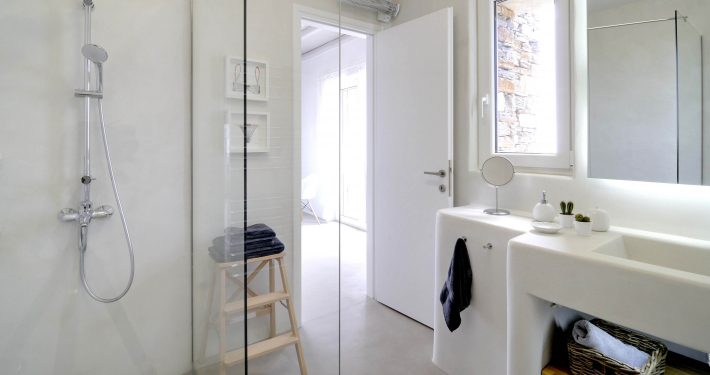 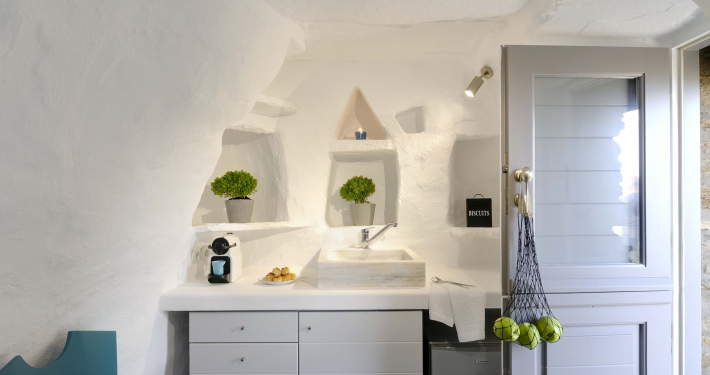 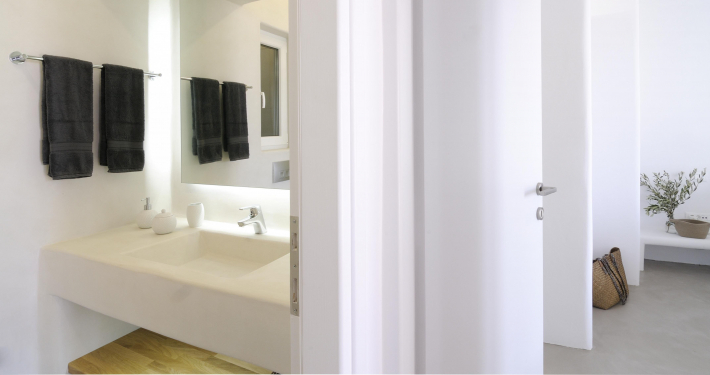 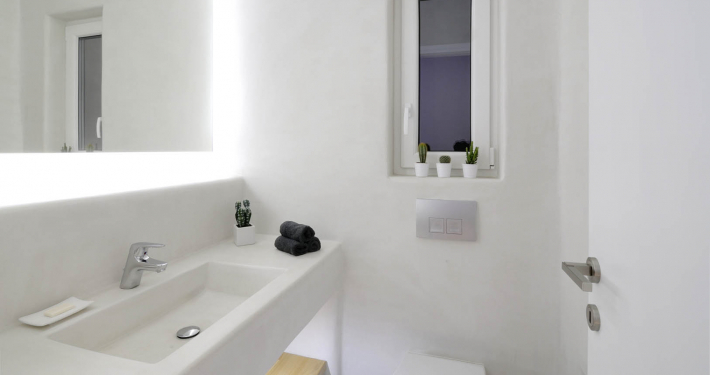 Walls are white with polished cement floorings creating a special atmosphere. 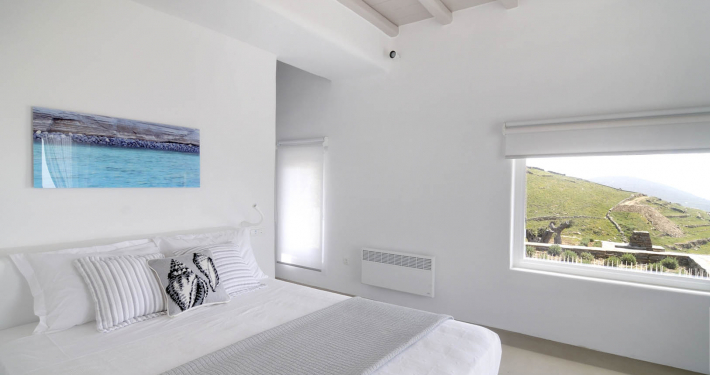 The villa has 4 en-suite bedrooms in three different levels, while an autonomous guest house (locals name it ‘cell’) offers one extra bedroom (along a small kitchen and a bathroom).